Neighbors Pat and Bonnie worked together after hearing about the idea, both thinking Little Free Libraries would be a great addition to an active neighborhood. "It just seemed like a great way to foster a sense of neighborhood and promote literacy for children and families at the same time," said Morscher. "As soon as I heard about the Little Free Library, I knew I wanted one. Pat immediately had the same idea, so Martin Drive Neighborhood gets two!" Little Free Library, a movement started by Todd Bol of Hudson and Rick Brooks of Madison in 2010, has grown to include little libraries in most states and dozens of countries. 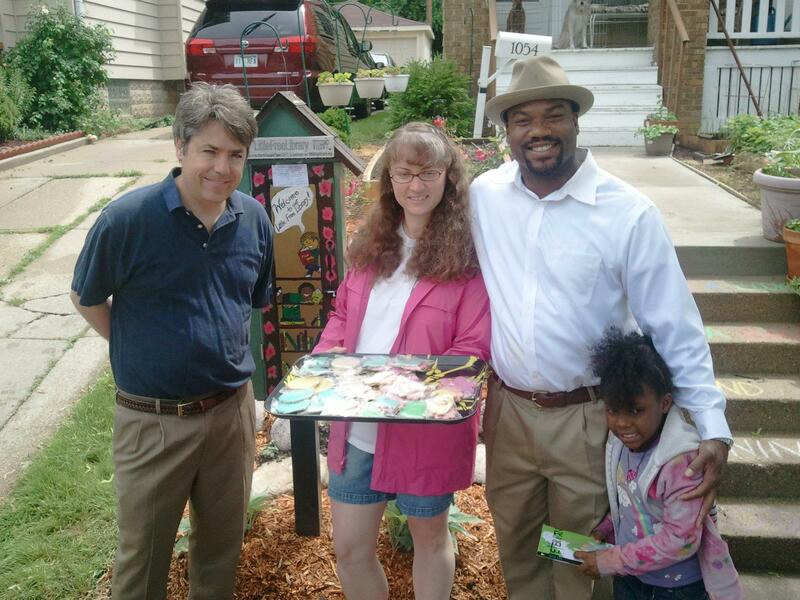 "Last January when I saw the article in the paper about the Little Free Library, there was a buzz on the neighborhood Facebook Page," said Pat, Martin Drive Neighborhood Association organizer. "I knew we had to install one. Apparently, Bonnie thought the same thing." • Promote literacy and the love of reading by building free book exchanges worldwide. • Foster a sense of community and connection as we share skills, creativity and wisdom across generations. • Build more than 2,510 libraries around the world (the number of “real” libraries built by Andrew Carnegie)! "What a simple but rewarding project to promote literacy and love of books. 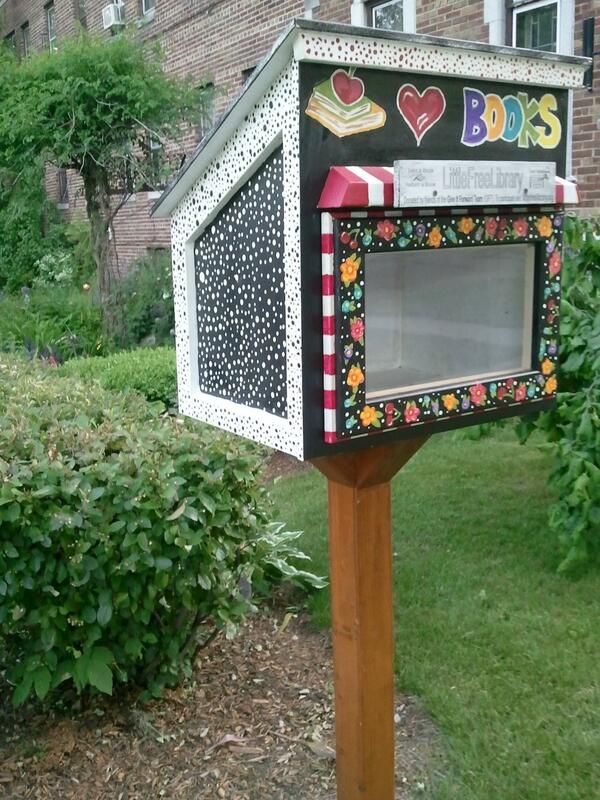 Free Little Library walks you through everything and makes it very easy," said Pat. Milwaukee Alderman Michael Murphy, Milwaukee County Supervisor Russell Stamper, II (now Alderman) and neighbors opened the libraries.